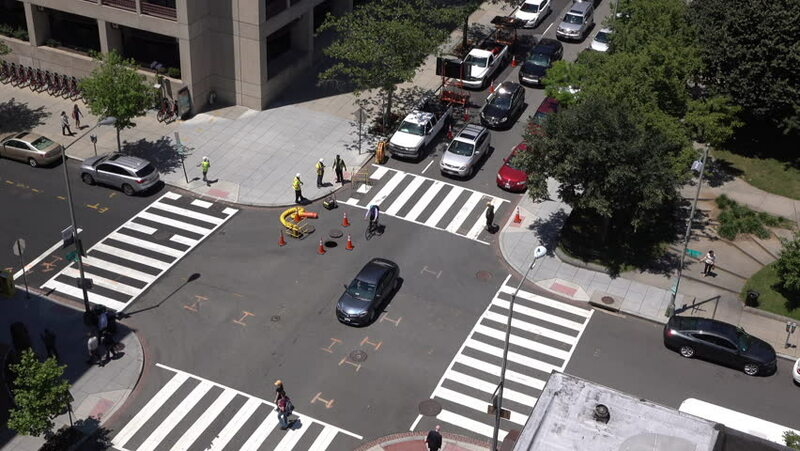 WASHINGTON, DC JUNE 8: Looking down at city intersection with construction crew of Washington, DC on June 8, 2016.
hd00:28Hollywood's Vine Street Long Shot. Extreme long shot looking South on Vine Street towards Hollywood Boulevard in Los Angeles, California. Visible off in the distance is vehicle and pedestrian traffic. 4k00:21Daytona Beach, Florida / USA - March 1 2019 : Aerial of the Sights and Landmarks in Daytona Beach, a city on Florida's Northern Atlantic Coast. hd00:19Pacific Coast Highway in Santa Monica, CA. Traffic flows and moves along this famous stretch of beach.